The power of friendships can never be underestimated, but the pressure they become under – especially for young men – has never been greater. Losing one can be like losing a loved one; both can feel like a hole opening up in your life. Johnny Lynch and Kenny Anderson (AKA King Creososte) were co-founders of the Fence label in the early noughties, an enterprise based in the small Scottish fishing village of Cellardyke in Fife but which rapidly outgrew its origin and helped launched the careers of both them and artists like KT Tunstall. When in 2013 their relationship ended the joint venture did the same – acrimoniously – and on Future Echoes Lynch moves to address that and other subjects which have shaped his more recent life. You may be fearing that the results are maudlin and owned by self-pity; far from it. 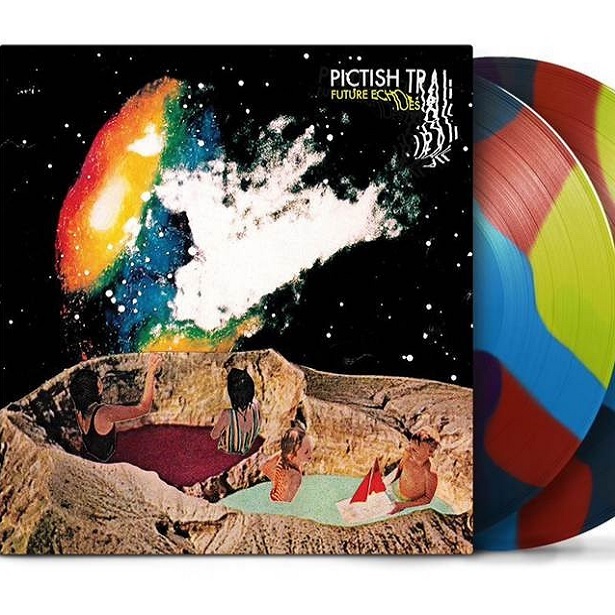 Instead Future Echoes is a sometimes dazzling slice of cosmic folk and pop, rich in melody and happy to share a tent prestigiously with fellow avant-psychedelicists and countrymen the Beta Band.